sadly, eyewear for Rhinos isn't a thing (yet), but we are in the process of creating a new brand of glasses - keeping everyone's faces & noses in mind. the lack of a higher nose-bridge. From there, conversation evolved and the two realized the need for a brand that tailored glasses to their owners, addressing all of the issues that can come with eyewear. Thus, evolved the brand Rhinos, named after the animal known for its impressively unique nose. We give customers a range of classic styles. Typically frames are built for faces based on these shapes : round, square, oval, oblong, heart, and diamond. By building frames based on a person's exact facial measurements, Rhinos offers a larger variety of frame styles for each individual. When branding Rhinos, we wanted to make sure the company felt sophisticated and of quality while still remaining approachable and fun. The stylized R is meant to represent the horns of the rhinoceros, and the colors are meant to feel traditional yet clean and personable. Utilizing the R of the logo with a variety of color combos from the pallet, the packaging can have a range of styles and patterns that can be tailored to each customer. In doing so, everyone who purchases frames from Rhinos will be able to receive eyewear and packaging that speaks to them individually. 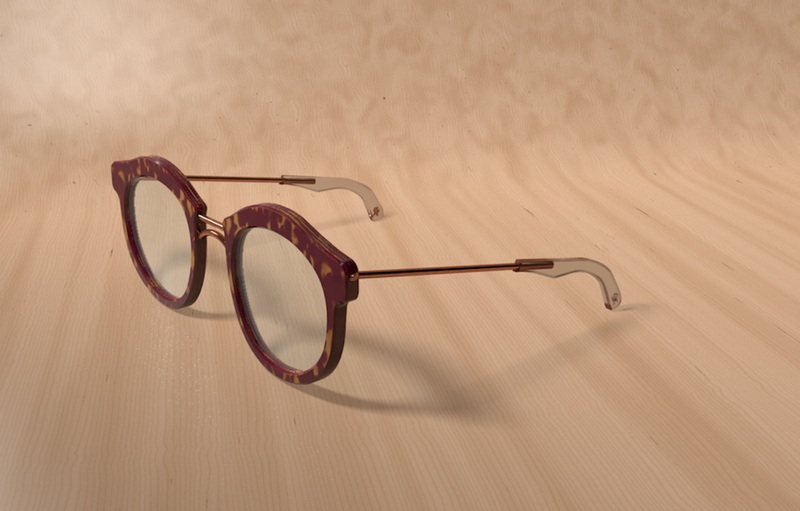 By using 3D scanning and facial recognition tools, we are able to create True-Fit glasses. While eyewear companies base their sizing on head width and face shape, Rhinos bases their sizing on each face’s nose height, face-width, face-depth, and ear height(s). We make sure to consider every aspect of a person's face. Of course, we know we can't be everywhere at one time. While we may not be able to scan every customer's face personally, we can use simple tools to gather enough information to calculate their measurements. By having our customers upload a forward facing photo to the Rhinos' website, we are able to give them the digital tools in order to help them get the basic measurements, they can then virtually begin trying on glasses.